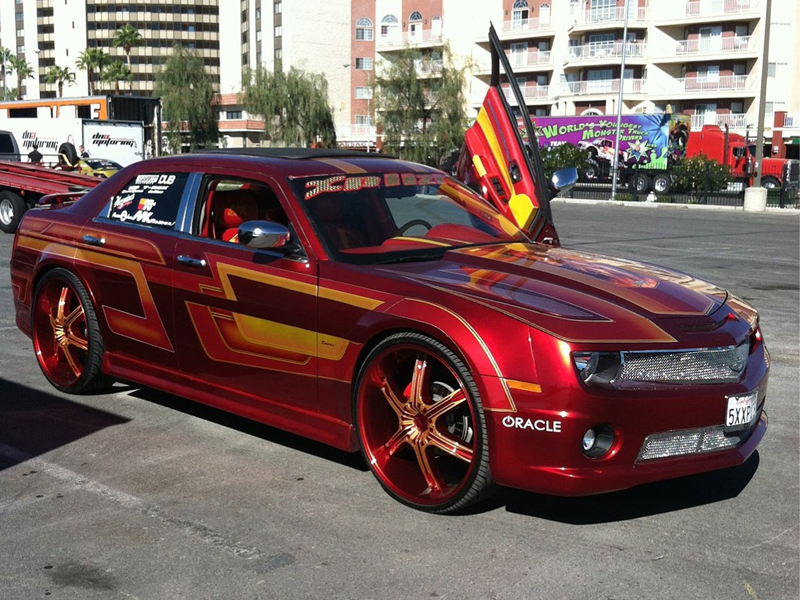 SEMA starts to show its bad side – over-customized cars. Here’s the fist one. Somebody took Chrysler 300, modified its face to fit 5th generation Camaro fascia, put much of effort on multi color paint job and all the “hifis” and Lambo doors. Fail.